Bronze Perfection is a Dutch Iris with unusual almost metallic flowers. 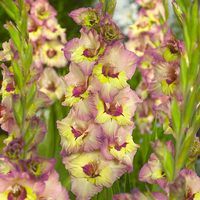 The bronze-purple petals are intermingled with golden yellow ones for a unique summer display. 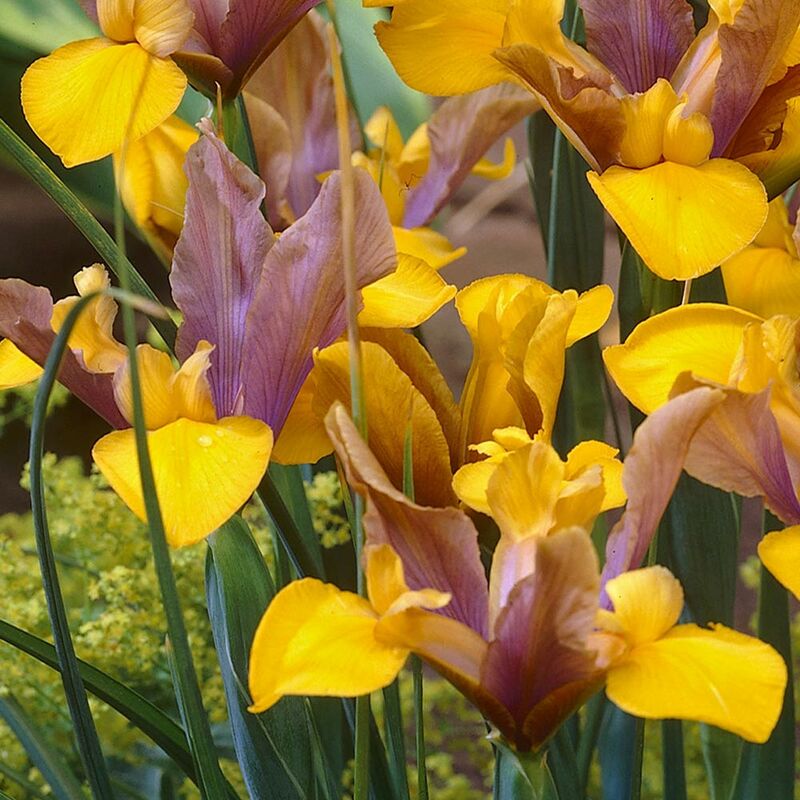 Dutch Iris produce better quality results compared to traditional Iris and are extraordinarily hardy, making them perfect for any garden in the country. 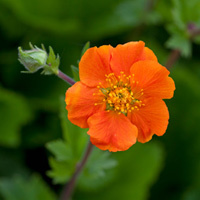 They are ideal for patio pots, containers and borders where they will grow to 60-70cm. Flowers June to July. 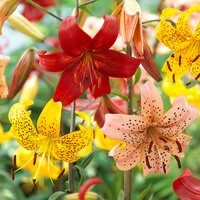 7/8cm bulbs supplied. How Supplied 7/8cm bulbs supplied. Planting Plant approx 8cm deep. Take some care to prevent slugs and snails from attacking the iris once planted. 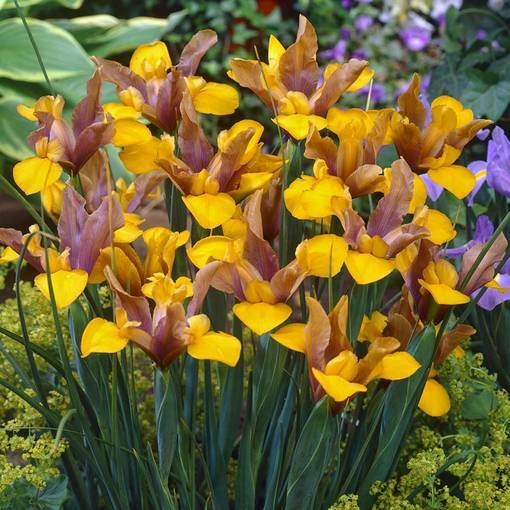 Most Dutch iris are only suitable for planting in the garden or in a cool greenhouse or a cold frame.